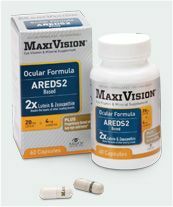 Are you at risk for Age-Related Eye Disease? 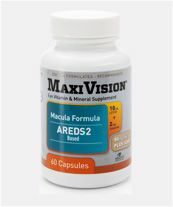 Advanced antioxidant supplement used for maintaining overall eye health and improving visual acuity especially for Age-Related Macular Degeneration (AMD) patients. 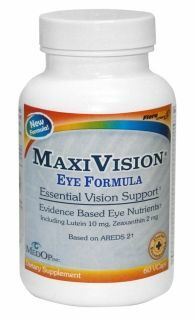 Lutein formula includes 3 ingredients, lutein, zeaxathin and spinach powder rarely found in a daily diet but essential to healthy vision. 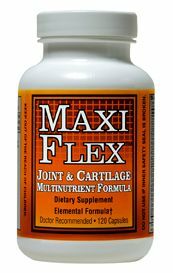 Contains 10 mg of FloraGlo® Lutein (derived from 100 mg FloraGlo® Lutein), 2 mg of Zeaxanthin and 355 mg of Spinach Powder per serving. 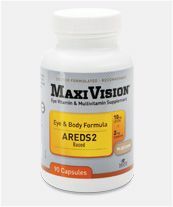 An ocular supplement that can be taken safely by itself or with any multivitamin on the market. 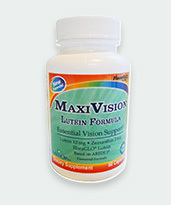 MAXIVISION®;Lutein Formula is doctor recommended for patients of all ages and specifically for those with macular degeneration. 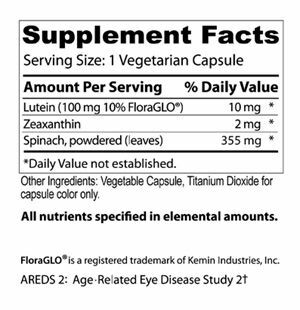 Nutritional studies suggest 6-10 mg of FloraGlo® Lutein daily for overall eye health and 12-25 mg of FloraGlo® Lutein daily for helping to slow the progression of eye diseases. 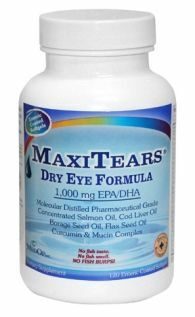 Suggested Use: Adults take 1 capsule per day. Remember to consult your healthcare professional before starting any nutritional supplement program. A: This product is Gluten free and also soy free.